To allow reviewers to comment on your projects in the presentation mode as well as in the Viewer app, here's how to get started. Start off by clicking the share setting icon (next to where it says Map) from the web version of Prott. 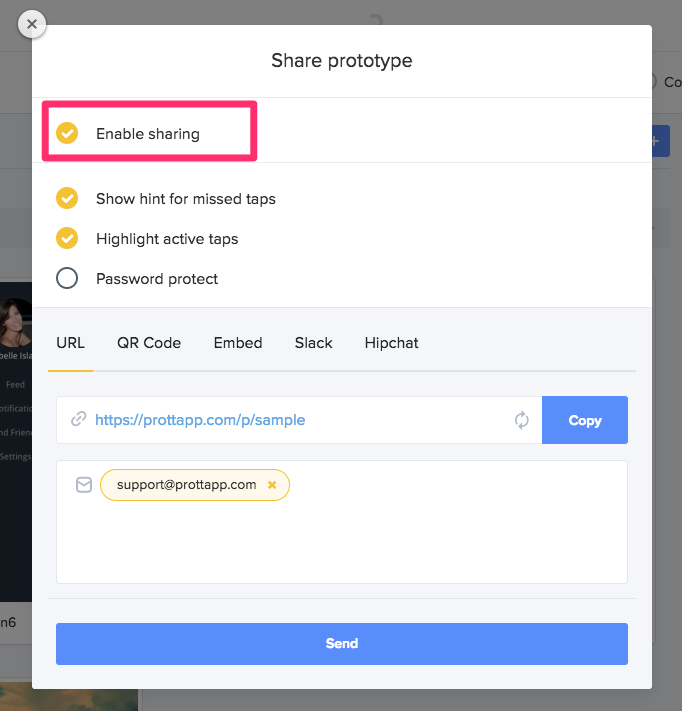 Make sure to check off where it says Enable sharing. Note: If you want to make your project secure, click on Password protect to give it that extra level of security. If there's an internal comment that you'd like to share with your reviewers while in presentation mode or in the Prott Viewer app, here's how to set it up. From the comment mode, post your comment on the screen. Once posted, you'll see two options that will appear at the top that says, Resolve and Publish. Check off Publish and you'll receive a message asking you to confirm if you want this comment to be visible in presentation mode. Click Yes to complete. To check the published comment in presentation mode from your web account, head over to the preview icon and hit Presentation. 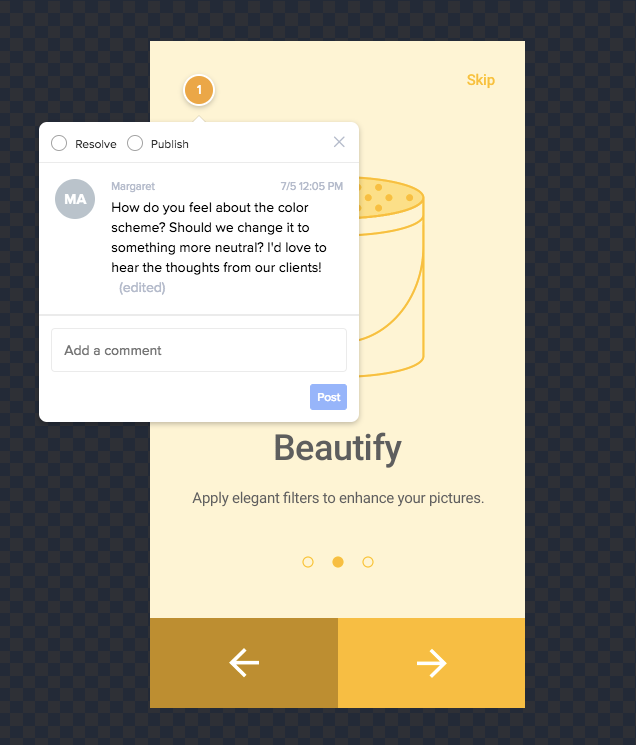 The comment that you published will also be visible in the Prott Viewer app. 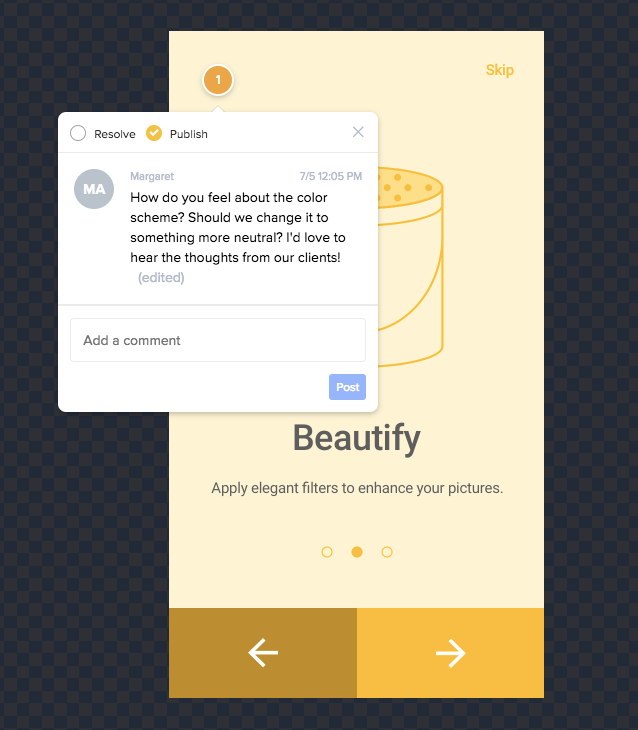 Tap the comment icon to see the comment in presentation mode/Viewer app. 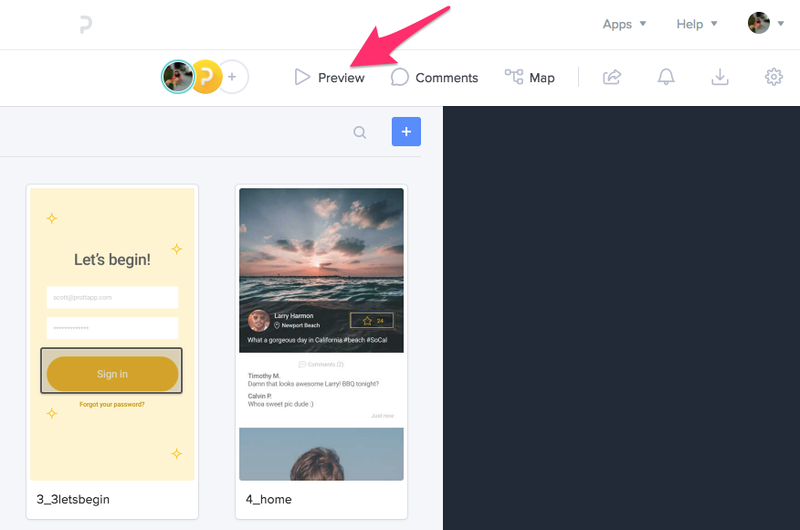 To unpublish your comments so that it's not displayed in presentation mode or from the Viewer app, simply login to your web Prott account, head to the comment mode and uncheck where it says Publish. 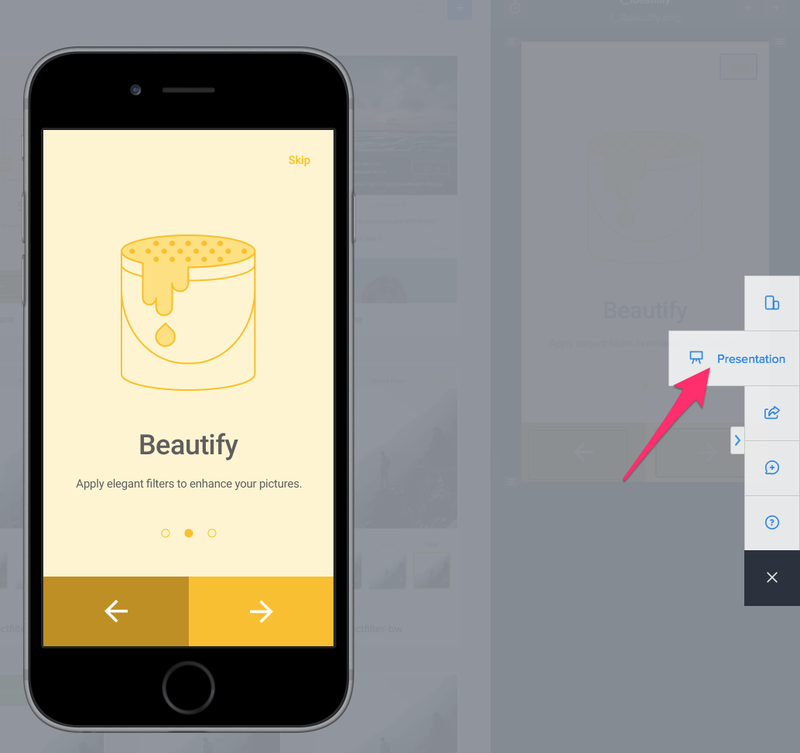 You'll receive a message at the top saying, Comment successfully hidden from presentation mode. Note: Existing comments that have not been checked off as published will remain hidden.